We are excited to announce that PRI will be featured throughout 2017 on public television networks' "Voices in America with James Earl Jones" educational segment. The video segment has been distrubuted to public television networks in all 50 states. 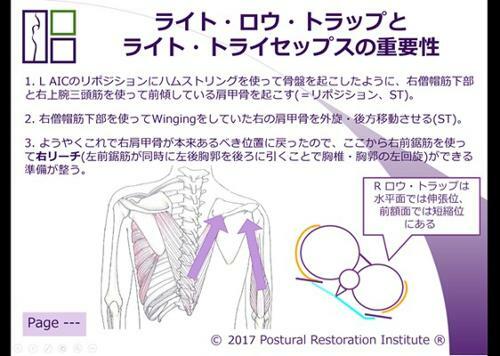 While airing schedules are not available to us, you might hear from patients or clients who happen to see this educational segment on Postural Restoration®. In addition to the educational segment that they will be airing on public television, two other segments: "PRI in 6 Minutes" and "PRI in 60 Seconds" were produced and made available to us, and will be on our home page soon (see below). You are welcome to embed these videos onto your personal or professional website to help educate patients, clients, and the general public on the history behind the science of Postural Restoration®. The "PRI in 60 Seconds" commercial will also be airing nationally on CNBC on Friday, January 6th at 8:30pm Eastern, 7:30pm Central, 6:30pm Mountain and 5:30pm Pacific time. So, set your DVRs or tune in to CNBC tomorrow night! Please note the commercial airing could land anywhere within an hour of the above scheduled times. In the past, we have been told that they have typically aired within 15 minutes of the schedule. Following this national airing, it will continue to air on CNBC in several different regions across the country. Can I use PRI materials when presenting an inservice, on my blog, or in an article, etc? This is a question that we are asked nearly every week. All techniques, materials, and content created by the Postural Restoration Institute® (PRI) its employees and staff, and displayed or presented in any manner or format including but not limited to manuals, brochures, electronic presentations, CDs and DVDs, photographs, and web sites, are the proprietary intellectual property of Postural Restoration Institute, LLC and its founder Ron Hruska. This content is protected by the copyright laws of the United States and by the 172 countries who are a signatory to the Berne Convention which established and provides copyright protection globally. This content may not be duplicated, published, displayed, or otherwise communicated or distributed in any country and in any language, without prior written permission from the Postural Restoration Institute, LLC. Permission to use this content can be obtained by contacting the Postural Restoration Institute, LLC. Permission requests are reviewed in a timely manner and in most cases, there is no fee for obtaining permission to use PRI content. Permission inquiries can be submitted using our new online PRI Copyright Permission Request Form. The non-manual techniques provided in your appendix are intended for use with patients or clients and may be photocopied and distributed without written permission. Be sure to use the techniques without modification while including the copyright information found on the bottom of the page. Modification of any technique is prohibited. Digital copies of all PRI non-manual techniques are available on CD and can be purchased via our website. For more information about correct use of PRI Copyrighted Materials and FAQ's, please read our "PRI Guide to Use of Copyrighted Materials". The storm of change has blown across our conference table at the Institute (as evidenced by the sea of journal articles strewn in its wake). 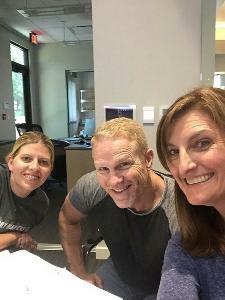 Jen Platt, Jen Poulin and I are on a mission, and with the help of our other faculty members, we are revising and updating the Myokinematic Restoration manual, power point and class. So....hunker down and brace yourselves and when the storm passes, enjoy the blue skies, tranquil calm and fresh smells of the new and improved Myokinematic Restoration class! This year we are offering an optional Interdisciplinary Integration evening series on Thursday, Friday, and Saturday of Advanced Integration. You must be signed up for Advanced Integration to attend these sessions. They will be offered from 5:15-6:30pm each night if you would like to attend. 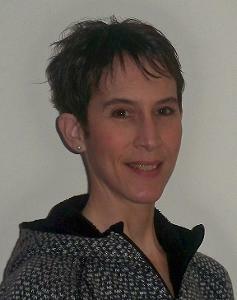 Thursday-Dr. Rebecca Hohl and Ron Hruska will present on Dental Occlusion. Saturday- Dr. Paul Coffin will present on Podiatry. 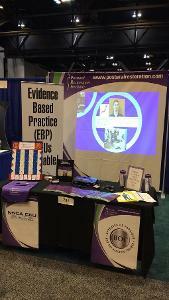 Two weeks ago, we travelled to St. Louis, MO for the 66th Annual NATA Clinical Symposia & Expo. Matt and I had a great time meeting nearly 600 Athletic Trainers at our PRI booth. 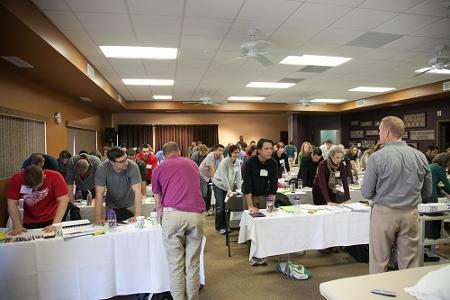 There is a lot of excitement for PRI in the Athletic Training field, especially having Evidence Based Practice (EBP) CEUs for Myokinematic Restoration, and more courses to come! I also had the opportunity to present at this conference for the first time. The topic of my presentation, "The Influence of Pelvis Position on Hamstring Injuries: To Stretch or To Strengthen" drew around 450 people into the room, with standing room only. For those who were unable to get into my presentation, they will have the opportunity to listen to it on the NATA Online CEU Center in the near future. I have also attached my presentation handouts HERE! Dan Houglum, MSPT, ATC/L, PRC also presented at this year's conference. The title of Dan's presentation was "Asymmetrical Posture and Common Pain Related Syndromes". He also had a nearly full room, with Athletic Trainer's eager to learn more about PRI. Dan is also willing to share his presentation handouts, which I have attached HERE! What is the Postural Restoration Institute? Check out this video! Have you ever struggled to explain to a colleague, patient, family member or friend what the Postural Restoration Institute is? If so, you will love this new video that we have created. While it was a couple years in the making, it turned out great, and kudos to Matt Hornung for finishing up this project over the past few months! Hope you enjoy it!